Sri N. Panchapakesan is the Founder and sole proprietor of Chennai Sai Muruga Matrimonials. Some details about him are as follows. He is a Banker by Profession. Served in Indian Overseas Bank for over 30 years in various capacities and different places including Kaniyur, Trichy, Chennai, Calcutta, Coimbatore, Thanjavur etc., Took up VRS in 1998 for mainly dedicating himself for noble social service. As a Senior Faculty member in IOB staff college for over 6 Years, he has conducted hundreds of Training programmes on H.R. Management and other Topics for their officials and Executives. On retirement started his own Training organisation ‘Ask & Excel’ and conducted plenty of workshops on Personality Development and E.D.P (Entrepreneurs Development Program) for students in schools & colleges and others as well. 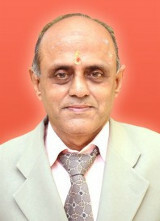 He is also a visiting Faculty in H.R. for various corporates and Banks, including City Union Bank. He is also involved in various social service activities through different organisations such as Exnora, Thambraas, Sri Ram Samaj, Uratha sindanai etc., Further He is also an active member in Retirees’ Forums. He is affected by a minor polio since childhood but never considered it as a Disablity or Drawback. Instead, comparing himself with others, who are worse affected than him he feels rather fortunate. He is closely associated with the activities of ‘Udavikkaram Welfare Association for Differently Abled’ for over 15 years. He has high reverence & regard for Sri Kanchi Mutt and addressed various programmes to students & devotees in the presence of both the Acharyas which he considers as a rare privilage. He is an ardent follower of Bhagwan Sri Sathya Sai Baba whose thoughts inspired him for commencing the Matrimonial services way back in 1991 at Thanjavur as a free service activity. Besides participating & enjoying Sai bhajans , he follows Bhagwan’s Golden words ‘Love all, serve all’ ‘Help Ever, Hurt Never’ as his motto in Life. He is devoted to shiridi baba also. He carries high values for our Culture and Religion and is not in favour of inter-caste marriage. He is more attracted by Karma Yoga rather than Gnana yoga & Bhakthi yoga. He believes in seeing God every where rather than isolating him in Temples only. He gives more importance for Conscience & Manithaneyam and noble qualities such as Honesty & Integrity. He is also good in writing both in English & Tamil. His various articles on self development and Poetic Tributes have been widely appreciated. His Book in Tamil titled ‘Nalla Murayil Thirumanam Nadaipera’ has been applauded by one & all. He is a deep admirer of Kannadhasan & T.M.S. and loves listening & singing old tamil songs. He also mixes them suitably in his Training programmes to make the Events more impressive & memorable. He also very much enjoys the Keyboard & Mandolin music of his nephew Mambalam Sai Ganesh who has given hundreds of performance for wedding Receptions. He carries high sense of Humour and loves the company of such people as Humour is highly contagious. He finds pleasure in attending Humour club Meetings also besides enjoying comedies in T.V channels. He also derives immense pleasure in attending weddings & blessing the young couples with his standard ‘Radhakrishna Photo’ which he as given to thousands of people. He is happy that the gift is being preserved and cherished by them in India and abroad as well. Apart from the above he likes many other things also which includes, Talking to people, Visiting Temples and Places of Interest, Viewing News Channels, Watching Cricket, Discussing Politics, Gardening, Cooking small items and above all Sleeping etc. He is very much Taste-conscious and prompt in giving feedback both Positive & Negative then and there. Of late, he finds immense happiness in spending time with his cute little grand child. He feels it is something unique and great! He strongly feels that irrespective of our problems, everyone of us can be still more happy, if only we decide to do so. His lectures on Happiness have been well received by everyone. He defines Happiness as ‘Giving Happiness to Others’. He feels Happiness can be found in little, little things rather than in very big things. He also feels that life must be celebrative not only on Birthdays and Festivals, but throughout. According to him, the secret of happiness lies in focussing on what God has given to us rather than lamenting on what has not been given. He never regrets over the past but takes lessons. He also never worries about the Future but plans. He believes and follows in living in the present. As per Gita’s message he maintains his joy and sorrow well within limits, and keeps his expectations always at minimum level. He is also of the firm view that Happiness depends on not only physical health but also Financial Health, Mental Health and Spiritual Health as well as Four Pillars. He hates hypocrasy and selfishness and is very much against unwarranted formalities, sentiments and various False Beliefs which pollute our minds. 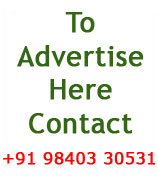 He is also totally against Horoscope matching which is mainly responsible for enormous delay in marriages. At the same time he is not for imposing his views on others beyond a point. He is always highly positive & optimistic in his approach and motivates others also in the direction. He neither talks negatively nor encourages such talking or gossips by others. He is prompt in recognising & appreciating others including staff members then & there. He always welcomes negative feedback if any against him or his organisation with open mind. He feels Gratefulness is the number one Quality to be cherished by Everyone but regrets that it is missing very often. Counseling is part of his daily routines which he is doing over phone & in person as Free Service for years & years. He feels Happy that he is able to bring lot of Solace & Happiness to thousands of people in the process, bringing at times Transformation too ! He is simple in nature, courteous & pleasant in his approach, and easily accessible to everyone over mobile or in person. He is systematic in his Diet & Habits and quite healthy always by God’s grace. He maintains the same weight of around 51 kg for the past 51 years. He is not for luxurious living & wasting money just like that, as millions are suffering from even Basic Needs. He feels very much disheartened to see that people are very often Penny-wise, and Pound-Foolish, spending lavishly at Times & becoming extremely calculative and bargaining for petty matters ! He always believes in practicing first before preaching to others. To quote an example, he never went for Horoscope matching while fixing alliance for his daughter as advocated by him for others & made this as open declaration in her profile itself. Health is Wealth! 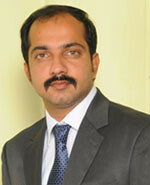 He underwent By-pass surgery at the right time in 2011 in MMM Hospital, Chennai. He feels God has been kind enough to give him a new lease of life with some purpose, probably to enable more & more settlement of marriages. This has made him to face the life more philosophically besides kindling his urge and energy for further achievements. He gives abundant importance for maintaining cordial Relationship with both Relatives & Friends as well. He never fails to attend important occasions and feels happy in Greeting them on all Festivals. He focuses his attention on others’ plus points & ignores their negatives & short comings. He also avoids giving unwarranted advices for changing others and accept people as they are. He was born on September 4th 1948 at Chidambaram where his Grand father E.S. 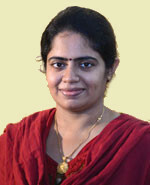 Varadaraja Iyer (ESV) was HOD in Tamil Dept. of Annamalai University. He was a great Tamil scholar and had written thousands of Devotional poems on various Gods & Maha periyavaa as well besides a detailed Urai for Kambaramayanam in Kalakshatra. He feels always very much proud of his Grand father. His Father Narayana Iyer was also a Banker and served in Nadiambal Bank & Lakshmi Vilas Bank. Mother Janaki ammal is alive at 96 blessing him on all his ventures. He feels happy in taking due care of his parents, besides his Father-in-law also till his demise. He hails from Nerur (Near Karur) which is very well known for the great Adhishtanam of Sri. Sadhasiva Brahmanendral. He has a Daughter & a Son while wife is no more since 2001. Daughter, Niranjana, is ably assisting him in all his ventures. She got married in 2013 to Sri. Sriram, a Freelancer and they are blessed with a male child named Vishal Karthik. Son Saikrishnan a graduate in Engg is also actively involved in the organisation as Marketing Executive. Apart from further Excelling in Matrimonial Services, he has other Goals too. He intends opening up a separate website for matrimonial needs of Differently Abled (for all caste) under the name of thunaimatri.com shortly. He is also keen to promote a Charitable Trust for various social welfare activities including Blood donation, providing financial assistance for Marriage, Education, Medical needs etc. for deserving and needy people. He has secured various awards of sevai chemmal, sevarathna etc.,from Lions Club and Others for his meritorious services to the society though he is neither keen nor elated by them. With all humbleness he feels, he is nothing compared to various Great people, with glorious achievements. His interviews have come in various T.V. channels including Jaya T.V. & Vijay T.V. Looking back, he is satisfied & happy over the various roles he has played as Husband, Father, Son, Brother, Employer, Banker, Trainer etc., He is also happy that he has been instrumental for the wedding of more than fifty thousand people over the past 20 years and also in enlightening plenty of persons through his vibrant Training Programmes & effective counseling. Address : 7 (15/2), 9th Avenue, Ashok Nagar, Chennai – 600 083.